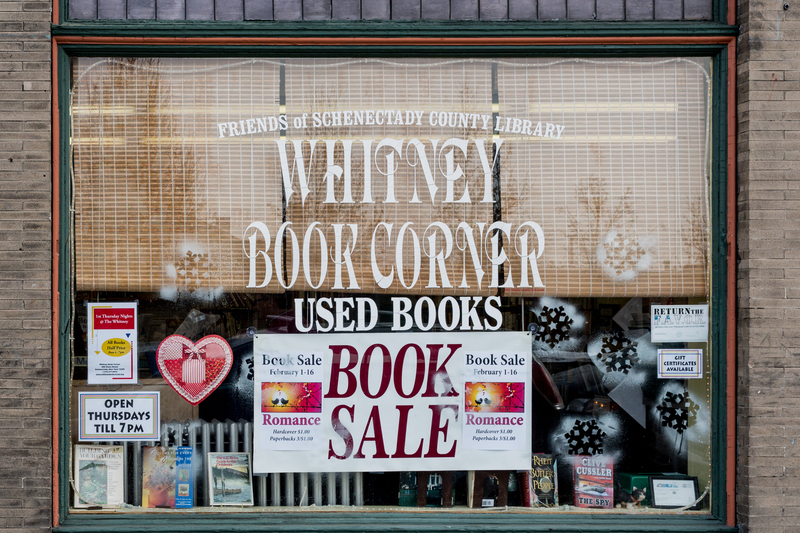 The Whitney Book Corner sells quality used books at reasonable prices as well as used audio books and DVDs. It is operated by the Friends of Schenectady County Public Library and all proceeds benefit the library system. All of our books are either donated from the public or culled from library discards. A group of dedicated volunteers sorts through the books and picks out the best of the best for our store. Twice a year the Friends have a huge book sale on the library grounds of thousands of additional titles. Click here to view the Friends Newsletter and here to view our Annual Report. Most hardcover books and trade paperbacks sell for just $2; paperbacks cost $1. We have a selection of better books that are priced slightly higher. Children’s books range from $.50 to $1. Whitney’s Treasures are books valued at $35 or more, sold here for only $10.00. You never know what you might find in the store. For the most part we don’t pick through the books looking for valuable editions – we let our customers be the treasure finders!